The fall transition that occurs with the first hard frost shows how life, water and climate are linked together. The first hard frost kills some plants and is one signal for maple trees to shut down photosynthesis for winter. As long as plants are alive, they transpire and put water vapor into the air. Water vapor is a powerful greenhouse gas that prevents the ground from cooling rapidly at night. More water vapor in the air produces more clouds, which also trap heat at night. Transpiration from the forests delays the first frost in the fall — until one day a northerly flow brings cool dry air, and the earth cools rapidly at night so that frost forms by sunrise. Data taken over the past four decades show significant changes in Vermont’s climate. The fall transition is coming later by about 2 days per decade. Over the past forty years, the growing season for frost-sensitive plants has increased by 2 weeks; and for frost-hardy plants the growing season may have increased by as much as three to four weeks. This fall was very unusual. We had a remarkable 10 inches of rain in October, and so there were few frosts because the ground and air were so wet. This extended the fall foliage season. The first part of November has been marked by several hard frosts and most recently, the first snowfall of the season. Autumn is considered by many the most beautiful season in Vermont. The leaves turn brilliant colors of red, orange and yellow — a seasonal burst that attracts many tourists to the Green Mountain State. Forests cover almost 80 percent of Vermont, and roughly one in every four trees is a maple. Almost half of the Northeast’s commercial woodlands consist of maple, beech and birch. The USDA Forest Service projects that oaks and hickories, which predominate in warmer placers like Virginia and now account for less than 15 percent of Vermont woodlands, will overshadow the state’s maples by the end of the century. Leaf-peepers attracted by the red, yellow and orange foliage of maple, birch and beech may see those colors shifting to the blander browns characteristic of oaks and hickories. A recent report “The Northeast Climate Impacts Assessment,” sponsored by the Union of Concerned Scientists, explains that Vermont’s climate is warming and is in for significant changes. 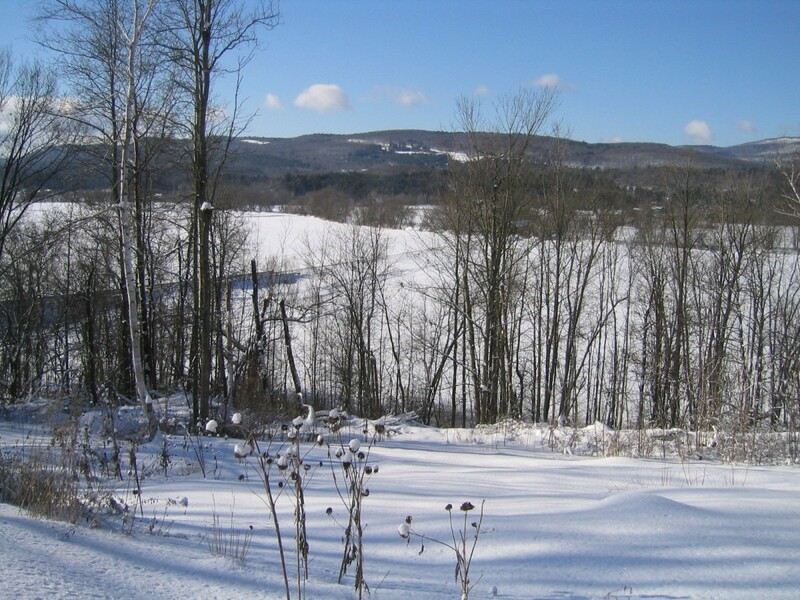 Between 2040 and 2069, Vermont’s climate will shift to that of Pennsylvania’s now. And if we continue to rely heavily on fossil fuels, by late century Vermont’s climate will shift farther to the south, more similar to that currently experienced in the Mid-Atlantic states. The USDA’s Agricultural Research Service is revising its 1990 plant hardiness zone map to reflect climate changes that we are already experiencing. In Vermont, warmer conditions and an extended growing season allow growers to experiment with new crops, but maple syrup production and harvests of cooler-season plants, such as broccoli and Brussels sprouts, may be reduced. Catherine Stevens, marketing director for Vermont Maple Sugar Makers’ Association, says sugar makers are discussing what climate change could do to their livelihoods. In the Northeast, the sugaring season has, on average, begun seven days earlier and ended 10 days sooner than it did 40 years ago. In Vermont, we often experience a sharp transition into winter. (See Figure 1.) The first heavy snowfall typically occurs in December. This fresh blanket of snow reflects sunlight and causes the mean temperature to drop sharply. But as Vermont’s climate warms and the temperature shifts upward relative to freezing, the length and chill of the cold season are reduced. The net result is less snow cover. The first heavy snow is coming later in the year (sometimes even shifted into January), so the winter transition is coming later. Milder winters will adversely affect Vermont’s ski and snowboarding industries. Other winter recreation activities, including ice fishing and snowmobiling, will also feel the impact. Ski areas haven’t been significantly affected by climate change so far, as variations in recent winter weather represent natural weather fluctuations. But the industry is bracing for long-term forecasted trends. Alan Betts is a past president of the Vermont Academy of Science and Engineering. His research is supported by the National Science Foundation. More discussion of the seasonal transitions and climate change can be found at: http://alanbetts.com.